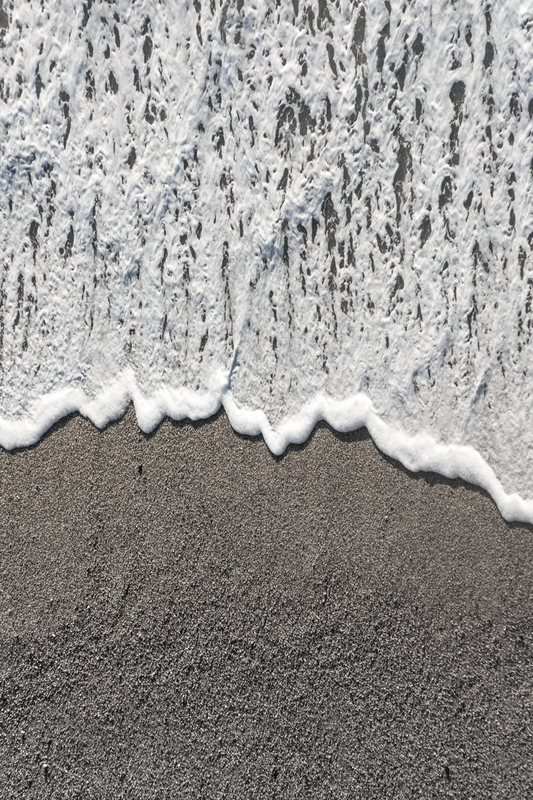 “Namiuchigiwa” (波打ち際 = water’s edge) is a photographic study of textures and shapes of wave breaks. I made these images at locations along side the ocean where I have the top down view of the beach. Geometric shapes, textures, and negative spaces are some of the features of photography that inspire me. It’s unclear to me where this study will take me but I wish to find out.